It may seem odd writing about growing tomatoes at the time you should be harvesting them but it is often the case that when you see a plant growing somewhere that is the time you wish you knew how to grow them. As regular readers of my garden articles will know, although I love gardening I also like to achieve great results with the minimum of effort and tomatoes are not an exception! 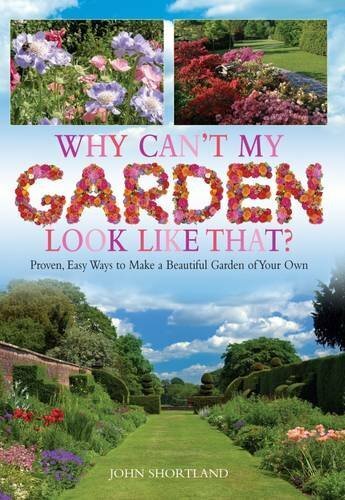 Effortless gardening doesn’t mean bad horticultural practice for you can hardly expect great results from shoddy workmanship wherever your interest lies. All the photographs below demonstrate that it is possible to have superb tomatoes without devoting every spare moment to growing them. As is often the case, I discovered this easy way to grow tomatoes out of necessity: a client wanted them but they only visited their country house irregularly and I could only devote one day a week to maintaining their grounds. That left about fifteen minutes a week for the tomatoes. This method, by the way, only works for plants grown in containers. Although they were grown in a greenhouse there is no reason why the same method could not be used for growing in pots outdoors although they are more at the mercy of the usually variable British summer weather (not variable this year, 2018!). All garden plants, whether grown in containers or in the garden border require good growing conditions and this starts with getting the soil or potting compost right. Tomatoes are greedy feeders and books and articles always advise feeding the plants on a regular basis as soon as the first flowers show signs of turning into fruit. That is far too time consuming for my fifteen-minute rule! Instead, use a quality compost. I used Carr’s potting compost which is made from composted farmyard manure; although not the cheapest it is well worth paying the extra cost for the results that are obtained. There are, of course, other manufacturers that do something similar which, I daresay, will achieve similar results. To this compost I mix in several handfuls of horticultural grit and double the recommended amount of water-retaining granules – these swell upon contact with water, and release it gradually thereby reducing the necessity for regular watering. Tomatoes are easy to grow from seed, sowing in gentle heat in February and there is a huge choice of variety. For ease and speed, I purchased young plants from a garden centre once I had no concern of late frosts killing them. The pots were filled to within a couple of inches of the brim with the compost mix which I had pre-moistened. As a guide, the compost should feel damp but you shouldn’t be able to squeeze water out of it. Plant three tomatoes in a 20/25 litre plant pot placing a sturdy cane by each plant. Stand the pot on a watering saucer or tray and water well. Gardening rules state that tomatoes don’t like standing in water but I found that by using the saucers I could leave them with a good supply to last them the week. By the time of my next visit, the compost and tray were dry but the plants unaffected by either the standing water or the drought. Tomatoes grow in two different ways depending upon the variety – bush or cordon. With bush tomatoes you just leave them to grow as they will; with cordons it is recommended that you remove side shoots and tie the plant upright onto the cane. Although the latter method sounds time consuming and fiddly it is a simple and quick task once it’s been mastered. The secret is to remove any shoots that grow out of the union of the leaf stalk with the main stem – if done early enough they snap off with the fingers. If you leave them they will need to be cut out with a knife or scissors. Although it is possible to leave them in situ I find that the plants become very congested and difficult to manage which, in the longer term, means they are more time consuming to deal with. Tomato ‘Sungold’ – note how the plant has been ‘stopped’ when it had grown as tall as I wanted it to be. And that’s it! Just tie the plants to the cane as they grow and give them a really thorough watering once a week from the top of the compost until the saucer begins to overflow. There’s no time-consuming feeding for the compost will provide all the necessary nutrients. And because the plants are growing strongly and healthily you are far less likely to be bothered by pests or diseases. All the tomatoes in the photographs received no chemicals or other additives; all we had to do was to eat them. If you’ve never tasted a home-grown tomato eaten the moment it is plucked from the vine then you’re in for a real treat! A photograph from 1979! Tomato ‘Big Boy’, a beefsteak variety living up to it’s name! When I was a small child I was lucky enough to be sent to a school that had once been a large country house. 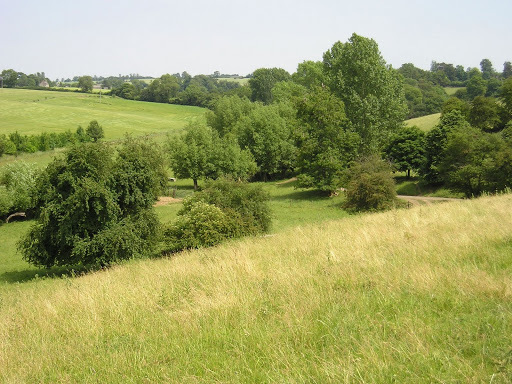 Its gardens had long been allowed to return to the wild and it was difficult to differentiate between them and the meadows that came with the property. Lessons on warm summer days were often taken outdoors sitting not on chairs but on a bank of short mown grass. This sounds – and was, of course – idyllic but rules were strict and we had to sit in rows as straight as the chairs in the classroom. At playtime we could run about through the longer grass chasing butterflies and trying to catch grasshoppers in our school caps. Even in those early days I hated being indoors during bad weather and found it hard to concentrate on lessons in the classroom for there always seemed to be something more interesting happening outside. Our teacher must have felt the same for with the first sign of sunshine we would be back once more in the open air. It is said that every child remembers the name of their first teacher and mine, Miss Vine, I recall with great affection and gratitude for it was she that first took me on a nature walk. The walk – the earliest of all my schoolday memories – triggered off a lifelong love of and fascination with nature. We were led one late winter’s day wrapped up in our gaberdine raincoats, belts tightly buckled at the waist, crocodile fashion in pairs through the meadows further than we had been before. How exciting to be exploring somewhere new! When we came to an old wooden gate we passed through onto a wide, open path lined with trees, their trunks as straight as soldiers and towering high above us. The path instead of being muddy was soft and springy, our feet cushioned by years of fallen needles. 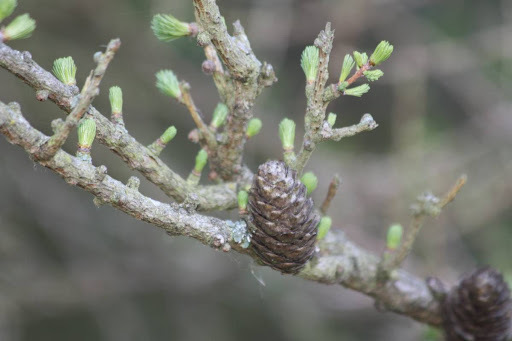 Miss Vine had brought us to a larch wood; an inspired introduction to trees for everything about them is childlike in scale apart from their height which she said led to a magic world way, way above. We never were told how we might reach the magic world but she pointed out the gifts that were dropped from it so that we might learn all about the birds and animals that lived there. 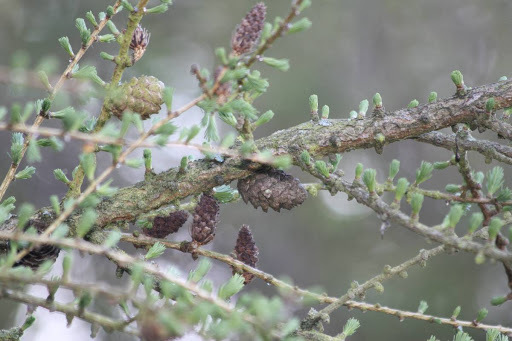 She picked up a fallen piece of branch with its tiny cones attached, perfect child-sized miniatures of the larger Spruce fircones, and gave it to us to look at and then we all found our own and carried our ‘gift’ back to the classroom to draw it in painting class. As the months went by we visited the trees often, watching how the hard, knobbly, dead-looking branches opened into soft tufts of the brightest green. We marvelled at how the cones formed starting off green and pink before turning chestnut and then brown. 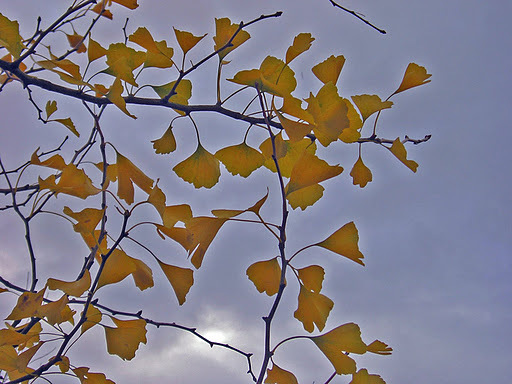 And in the autumn we watched as the needles – and it puzzled us that needles could be soft – turned glorious shades of yellow and orange before falling to the ground. 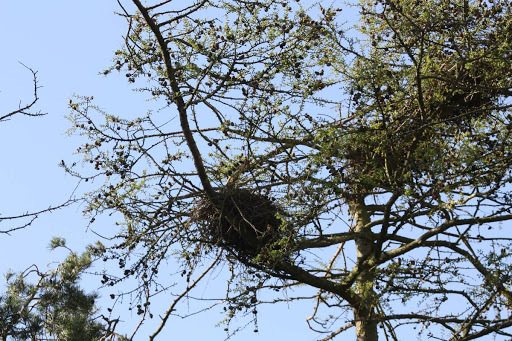 During those visits we learnt about different types of trees, about the wild flowers and birds, the animals and other wildlife. It was only many years later that I realised that Miss Vine had taught us that there really was a magic world – the one that we live in and take for granted every day of our lives. 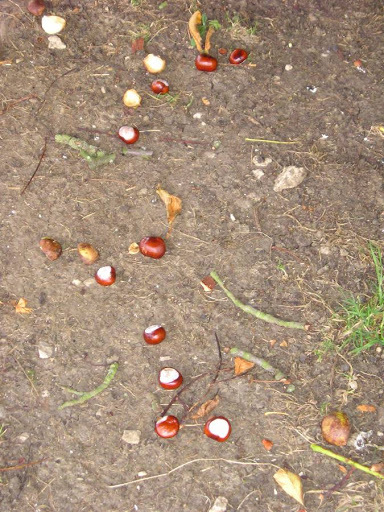 Every little boy – and many a gown-up one as well – loves toplay conkers at this time of year. Or at least, I assume they still do; it is possible that it may have been banned from the school playground under health and safety grounds. When you think of it – not only did we frequently impale our hands with the meat skewer we had pinched from the kitchen drawer to pierce the conkers with, we quite often cut ourselves with our penknives as we trimmed the strings to the right length. And what about those shattered splinters flying through the air like vegetative shrapnel – no-one thought about wearing eye protection then. However, the traditional sport of conkers isn’t threatened so much by legislation as by the recently imported leaf miner moth (Cameraria ohridella) which first appeared in southwest London in 2002. With no predators it has spread at an alarming rate and now it is reckoned that nearly all trees in England and Wales are infected by it. The moth’s presence can be detected by the brown-black blotches that cover the leaves, disrupting the trees ability to synthasise fully. This in turn weakens it which has made them much more susceptible to disease, especially bleeding canker which is now threatening their very existence. 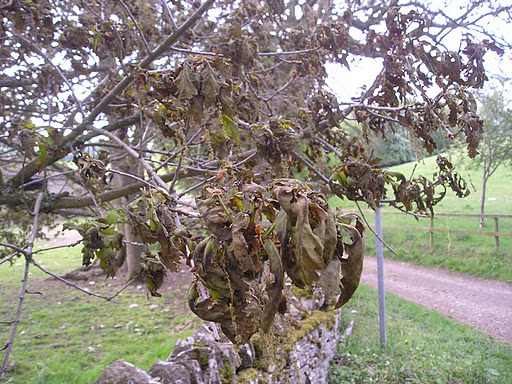 In some years, leaf damage is more severe and the leaves can drop very early indeed. As a consequence, some trees are looking in very poor shape. The secret valleyhas numerous mature Horse Chestnuts. They are fine trees, up to 100ft or more tall and look especially splendid in spring, their white flower spikes contrasting with the freshness of their newly opened green leaves which, at that time of year, are still unblemished. In the 400+ years since they were introduced to Britain from the Balkans, they have become an integral part of a child’s growing up. We learnt how branches of the ‘sticky’ buds, the dormant leaf buds, becoming ever more shiny and sticky as the sap rises within the tree, can be cut and forced to open into leaf early in a jam jar of water. 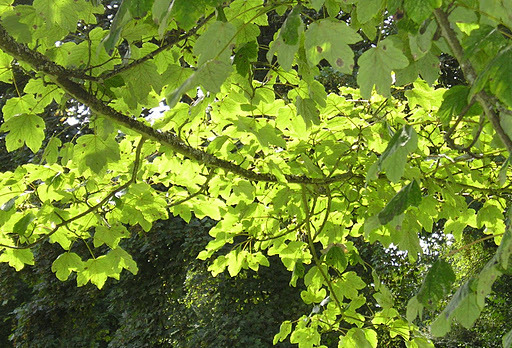 On hot summer days we learnt, usually when lying beneath the trees in their cooling shade, how to make ‘fish bones’ by shredding the leaves with our fingers until just the skeletal veins of the leaves remained. When we wanted to be nasty we knew that we could hurl the hard, green nutshells armed with their sharp spikes to embed in our enemy’s backs or scratch their legs if they were wearing shorts. And, of course, we held conker competitions. Now with all the trials of pests and disease plus the dreadful summer weather, conkers are few and those that have matured barely half their normal size. It has even been suggested that brussel sprout competitions may have to be held instead although I doubt if they will give the satisying dull thud of the real thing even if they were frozen first. However, this years World Conker Championships have taken place this month as normal – it was first held in 1965 and, unlikely as it seems, attracts competitors from all around the world. You can find out more by clicking on the link below. 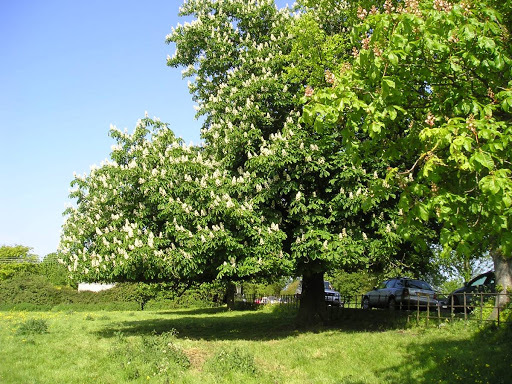 Not all is gloom and doom for the Horse Chestnut for it is now thought that some bird species are beginning to learn about this new food source and research is being carried out by the University of Hull and others to monitor this suspected behaviour. There is little that we, as gardeners or conservationists can do at this stage to assist other than to report any signs we see of birds feeding on the trees. We just have to hope that the Horse Chestnut doesn’t disappear from our countryside in the same way that the Elm did in the 1970’s and 80’s. 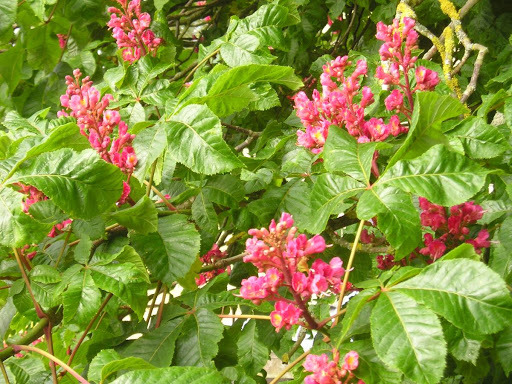 In the secret valley, we also have a number of the smaller, red flowered Horse Chestnut, Aesculus x carneaca, and this does not seem to become infected to the same degree as the white flowered, Aesculus hippocastanum. Although they do produce conkers unfortunately they are neither of a size or quality suitable for a serious round of conkers. 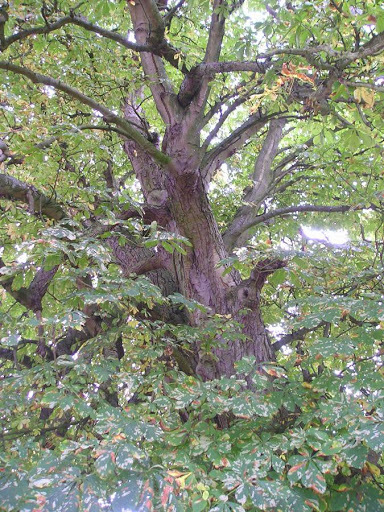 Horse Chestnuts, by the way, are poisonous to horses – they get their common name by the scars on the branches where the leaves once were: a perfect horseshoe complete with marks where the nails would be. When you get to know a place intimately – whether it’s a garden or a landscape – you notice things that the casual observer misses. In the late spring of 2011, we had a biting frost that killed off not all but some of the new young growth of numerous trees – just where it touched. Some trees remained unscathed, others were totally destroyed and some just part. This is what happened to one of a pair of Horse Chestnuts visible from our little stone cottage. One tree has always been much more stunted than the other, although as their girths are the same, I assume they were planted at the same time. They stand side by side but one, when the river bursts its banks is under water for a few days longer than the other. 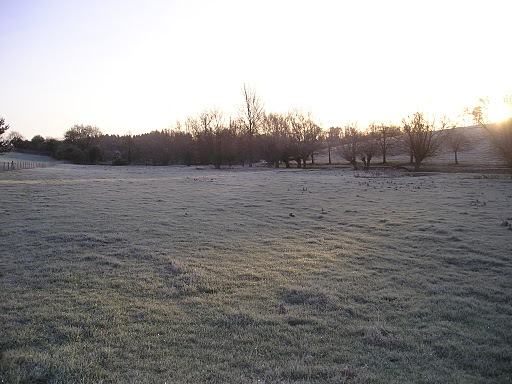 Is it this that has caused it to be so much shorter or is it this rare burning of the leaves by frost? It took months for the tree to recover, finally sending out new spring green leaves and flower buds at the end of July contrasting greatly with the remainder of the tree whose leaves had not been harmed. 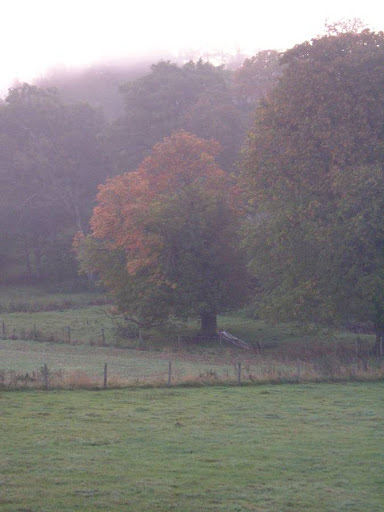 Likewise, the older leaves turned their autumn colours and fell earlier than the newer ones. 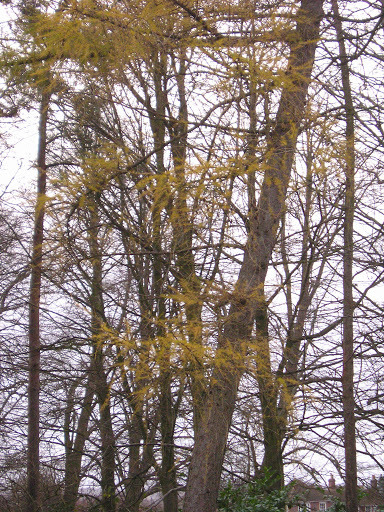 This year the tree, which now looks quite poorly, has reversed with the damaged leaves turning golden – in the ten days since the photograph was taken, they have fallen while the remaining leaves are yet to get their autumn tints. 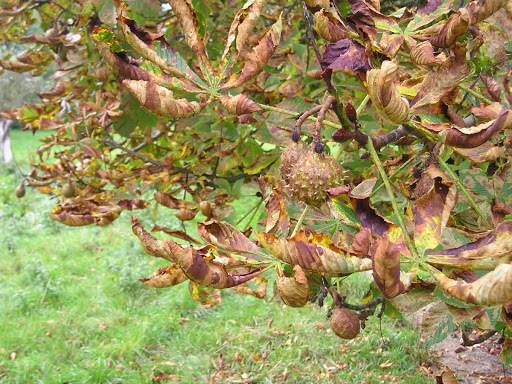 The secret valleywill be a much poorer place if all the Horse Chestnuts succumb to disease and have to be felled. Let us hope that future generations can play beneath them as we have done. 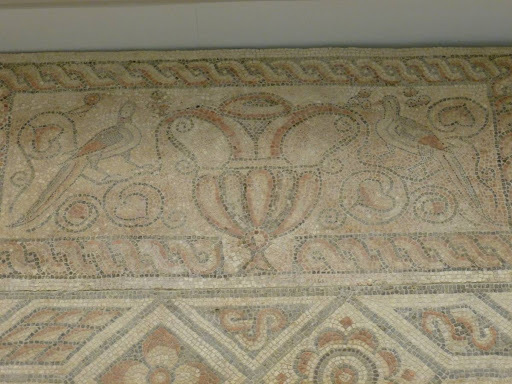 The making of mosaic patterns is often associated with the Romans although the earliest known examples pre-date them to 3000BC. 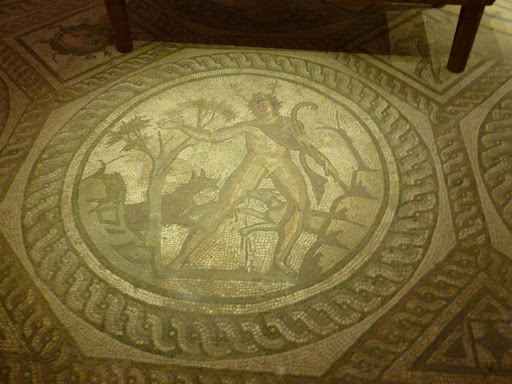 Associated with many cultures, mosaic artists still flourish today, an unbroken tradition of five thousand years. 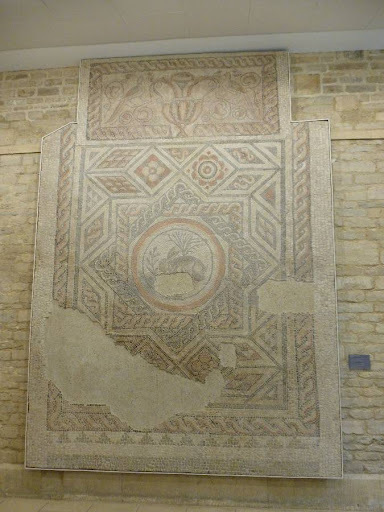 In Britain, one of the finest collections of early mosaics can be found in the Cotswold town of Cirencester, situated 93 miles west of London. With a population of 18000, it is one of the larger hubs in the Cotswolds yet has maintained a lot of its old charm for there are still many independent shops as well as the usual High Street chain stores. History oozes from the very fabric of Cirencester: home to the the oldest agricultural college (Royal Agricultural College) in the English speaking world, founded in 1845; it is also home to the oldest polo club in England (Cirencester Park Polo Club) which was founded in 1894. The charter for the market, still held twice weekly, was first mentioned in the Domesday Book in 1086. However, when the words Cirencester and history are linked together it is the Romans that predominate for their town, Corinium – now modern day Cirencester – was the second most important city in Britain. Corinium lay at the centre of their great road network where Akeman Street, Ermine Street and the Fosse Way all meet, still busy roads today. There are still the remains of a number of their villas in the region that are possible to explore. The great Roman ampitheatre here was also the second largest in the country with tiered wooden seating for eight thousand spectators. Today, all that remains are a series of banks and ditches, still impressive and well worth visiting. If there is not a huge amount to see of the original splendour of the ampitheatre, you will not be disappointed by a trip to the town’s Corinium Museum which has recently been extended and refurbished making it one of the best museums in the country. 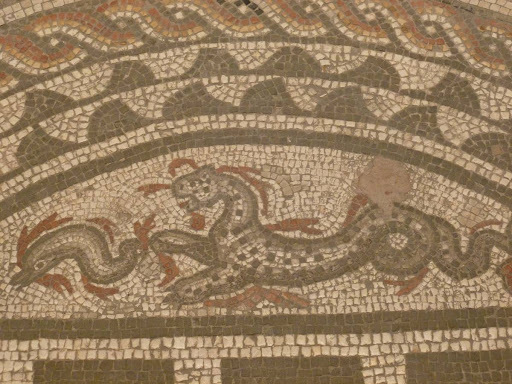 The museum holds over one and a half million artefacts but the most impressive of all of their exhibits have to be the Roman mosaics. 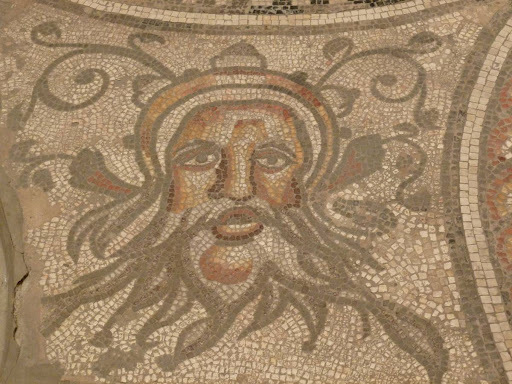 The Seasons is one of the most impressive mosaics in Britain, discovered in Cirencester in 1849, with pictures of goddesses depicting spring, summer and autumn. Winter is missing. 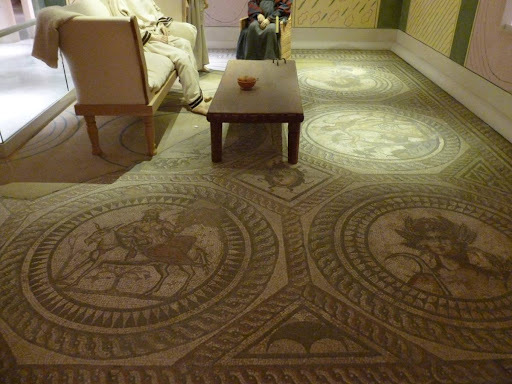 In the museum the floor has been laid in an area reproducing a room in a Roman villa. 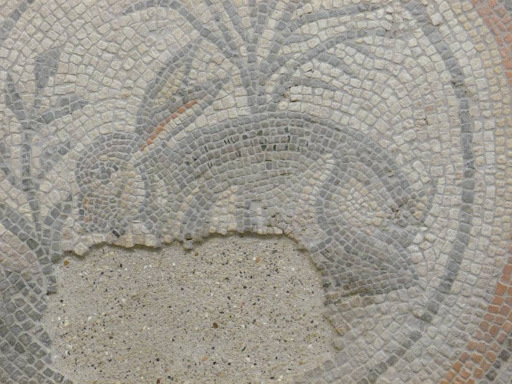 The hare is frequently used in Celtic art and fables but was rarely used by the Romans, making this central motif of the mosaic floor unique. If you click on the photo above to enlarge it, you will see that there have been shards of green glass laid into the hare’s back. The museum does not just hold Roman aretfacts, it also covers finds from pre-history as well as more recent times such as Saxon brooches and a large hoard of coins dating back to the English civil war, subjects of a later post. The Cirencester Museum is really worth making the effort to visit – you can find out more details by visiting their website, here. The British are always going on about the weather and I’m no exception. My very first words upon waking are “What is the weather doing?” and my final words before sleeping are “What will the weather be doing?”. I make no apologies for this: it’s part of our make-up as a nation. It’s because, I was once told, that whereas other countries have seasons, Britain just has weather. It’s not quite that simple, we do have seasons – Spring, Summer, Autumn and Winter – just like any other temperate country, it’s just that in the UK they get a bit muddled up. 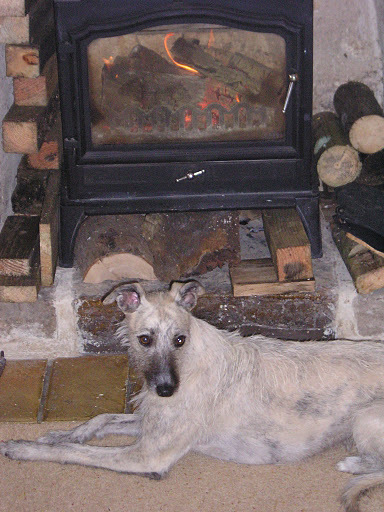 I write this, snug in front of the woodburner – not that much heat is getting past She-dog who thinks this has been lit solely for her pleasure and comfort – listening to a gale rattling the window panes and whistling around the eaves. The rain is lashing down and there is absolutely no need for me to ask what the weather is doing this evening. However, I have been told that I have said “Listen to the weather” several times. I could have said how remarkable it is that only yesterday I had my lunch sitting in the garden. Yes, really. I should admit that I am a hardy sole as I work outdoors all year and so am less affected by cold than most and I also should admit that I was wearing a coat and gloves and sitting in a sheltered, sunny spot. Regardless of those finer details, yesterday I commented how last year to the day we were up to our necks in snow in the worst wintry weather the Secret Valley had had for years. And, even more remarkably, the snow came when you would expect it – in midwinter but (and there’s always a ‘but’ where British weather is concerned) in the Cotswolds we rarely get snow before January ….. But it was still rather remarkable to be sitting there, surely and remark worthy? What is even more remarkable is that all of this week I have been planting out herbaceous plants and laying turf; late even by our odd climate standards. 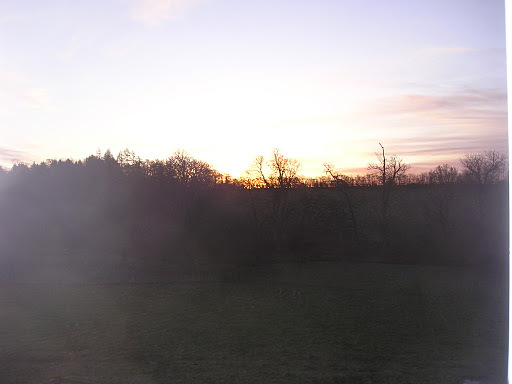 We have had frosts: there were three quite hard ones in October, then none until the last week of November and then a couple more last week and none since. In between, we had two weeks of warmish air and thick fog which was enough to make even me depressed. The spirits, even on those damp, grey days, were uplifted by the huge array of flowers that have reappeared. There are always a few late roses hanging on determinedly until Christmas Day, looking bedraggled and ragged but not this time. Some of them have given up but others have almost as many blooms as midsummer. There are pots of herbaceous Salvia nemerosa ‘Mainacht’ that have regrown after their end-of-season haircut and are in full bloom once again. Primroses and cowslips are showing colour. Today I counted over twenty different summer flowering plants still going strong. That’s a bit of an exaggeration, I really mean showing the odd flower or two. All the plants have become muddled so we have Winter Jasmine as you would expect but not alongside spring flowering Forsythia. And we have evergreen, flowering shrubs such as Viburnum and Sarcococca as we should have at this time of year – but not alongside the newly unfurling purple leaves of Cotinus cogyggria. Where, or more to the point, when will it all end? Possibly quite soon. It isn’t just the garden that is confused. On the farm the cattle are still out grazing the fields. 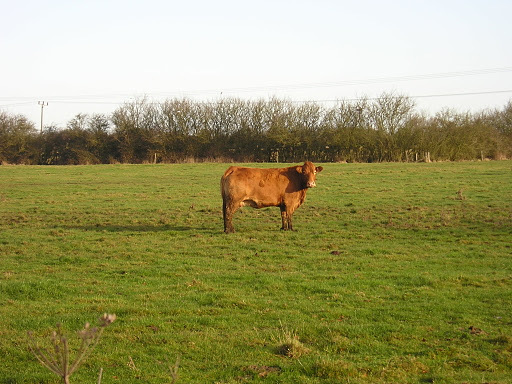 They should be inside by now but with plenty of grass still available in the fields they can be out for a little longer. While I am here writing about a bit of wind and rain, the north of England and Scotland, in particular, are bearing the brunt of 100mph gales and heavy snow. Perhaps we are quite fortunate, after all. The rain here is only supposed to last a few hours and tomorrow is forecast unbroken sunshine once more. Which reminds me, I really must start talking about the lack of rain we have had in recent months. 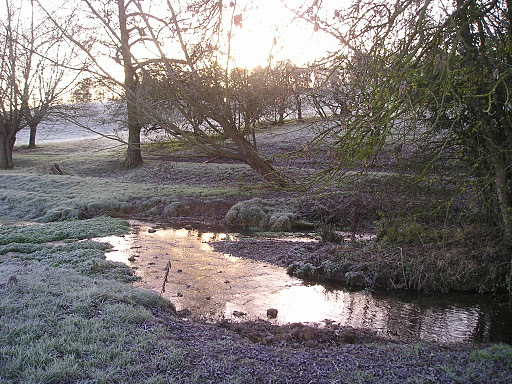 The little winding river is running lower than it ever has and can be easily walked across in places in just walking boots where the water flows over gravel . 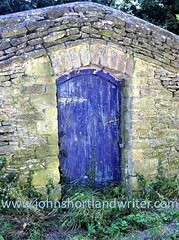 It should look, at this time of year, like the photograph I use on the header to this blog. Instead it looks like midsummer again with the water, where it flows deeper, still choked with watercress. Oh well! I suppose I should be grateful that I am still able to go out and pick it in December – I can make a store of some delicious hot soup to drink when the weather realises it is winter. 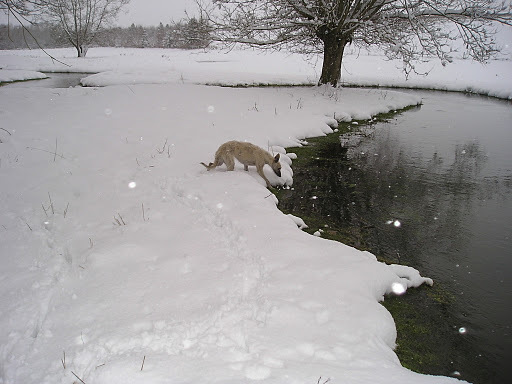 All the photographs, except for She-dog in the snow, were taken over the past week or two. When the frost has been hard the Secret Valley has looked at its best. It is said that the English, compared to those from other countries, always talk of the weather and, I have to admit that it is true. I have also heard it said that, whereas other countries have ‘climate’, we just have ‘weather’. And it is weather that has shaped the nation’s psyche, especially those of us that earn our living standing outside in it. It has been an odd year. 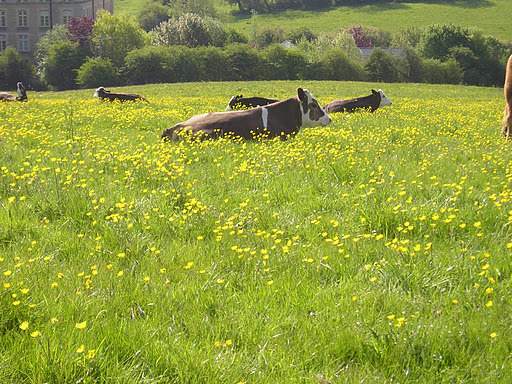 The hardest and earliest winter for years gave way to a lovely spring, March and April being mild and sunny. We were then hit by the hardest May frost that anyone could remember and here, in the secret valley, many of the trees had their newly formed leaves and flower buds blackened. 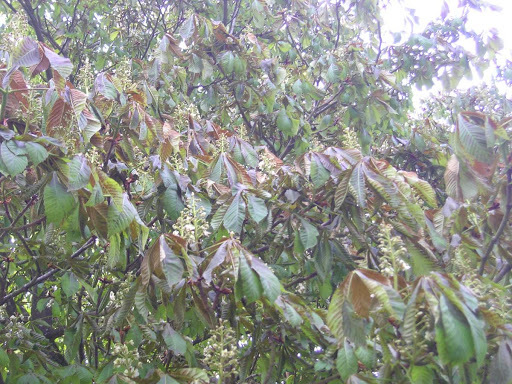 The horse chestnuts and oaks seemed hardest hit, although oddly enough, not all of them and not even all of the leaves or flowers on the same tree. Those damaged leaves fell and bare braches remained until July when, suddenly, they sprouted fresh leaves with the same verdent intensity as you would find two or three months earlier. One moment bright green growth, the next ……..
A similar thing with the weather has happened again over the last couple of weeks. Late summer proved to be rather disappointing with few really warm days and none where you could sit and relax in an evening with friends, wining and dining under the stars. Autumn seemed to be arriving early. Then, just as October arrived and our thoughts turned to log fires and bowls of soup for supper, summer returned with a vengeance. The temperature soared to 30C, breaking all records, the wind dropped and, for a week, we sweltered under cloudless skies and relentless sunshine. As the leaves on the trees began to crisp and garden pots started to die (I refused to start watering them again at this time of year), out came the garden furniture once again. But what has happened now? Three days ago, we returned to chill, and with a drop of nearly twenty degrees it suddenly feels more like November. Some leaves have begun to turn colour but others have fallen, too exhausted to give us their fleeting pleasure of golds and yellows. Snow is forecast up north in Scotland and every day the news is full of gloomy stories of an even harsher winter than the last one. 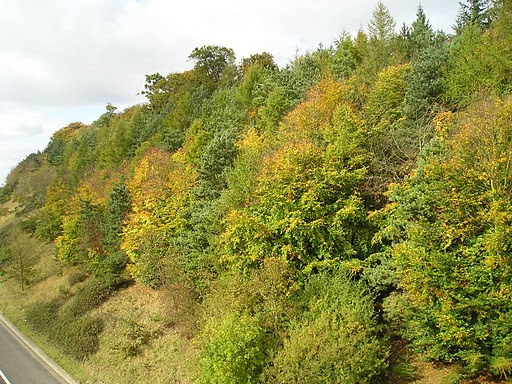 One place that always gives good autumn colour is the Chiltern Hills that rise so dramatically from the Oxford plain. It is a special place for me as I was born and lived most of my life there, a country so different from the Cotswolds where I have been the past ten years. Now I live in watery valleys with far reaching views and open skies. 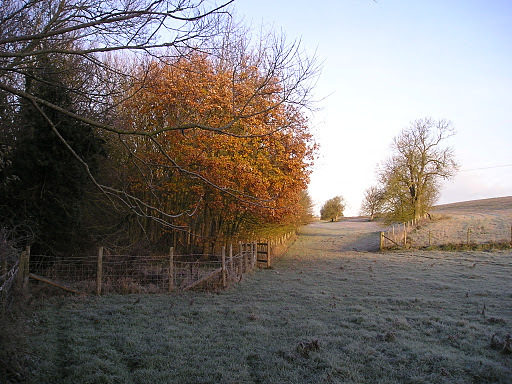 The Chilterns, although no more than fifty miles away, is the opposite – dry, chalky and steep, a secretive place where the clouds and views are hidden by beech woodlands. It is the beech which give the best of autumn colours. 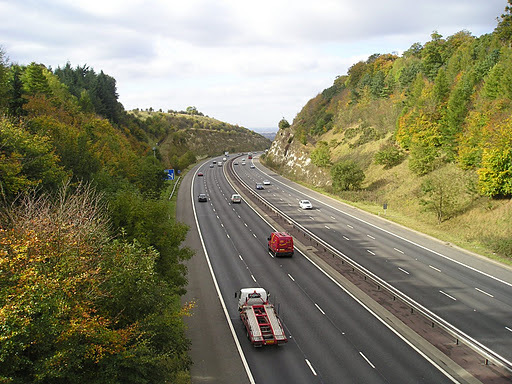 When the M40 motorway ripped a great chunk out of the chalk ridge, no-one anticipated it would alter the climate somewhat. But it is here, where the beech hang precariously to the edge (and sometimes topple over it) that the earliest signs of colour start. And even less did we think that one day Red Kites, one of Britain’s rarest birds of prey, would become so numerous soaring above it and feeding on the road kill that the motorway ineveitably produced. If the view of the chalk cut looks familiar it is because it was used in the opening shots of The Vicar of Dibley, the much loved comedy series on television that was filmed in the nearby village of Turville. So, we Brits have suddenly become wrapped up and stand huddled together talking about being too hot and too cold and will there be snow. Who knows? One thing, however, is certain: if there is snow down here in the south, it will be the chalk cut on the M40 that will get it first and it will also be the first motorway to be blocked by traffic trying to climb to the top of the ridge. 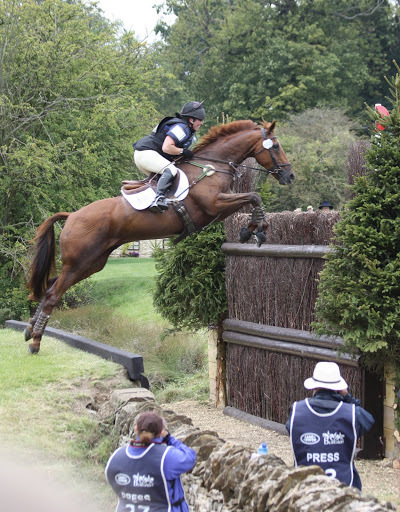 To compete at the Burghley horse trials you have to be brave, for the size of the fences are not for the faint-hearted. However, to have reached the standard that is required, riders and their horses have had to overcome fear in plenty and have the necessary skill, stamina and strength to compete at this level – not just on the cross-country course but also in dressage and showjumping disciplines. It certainly draws the crowds with over 140,000 people attending. In part 1 of these posts on the Trials – click here for link – the photograph below was also the first photograph shown, but before the trials began. It looked a huge, solid jump (and was) but the horses cleared it with ease. It is often the smaller jumps where a tired rider or horse come unstuck. Fortunately, this year, there were no major casualties although, sadly, these do occur from time to time. 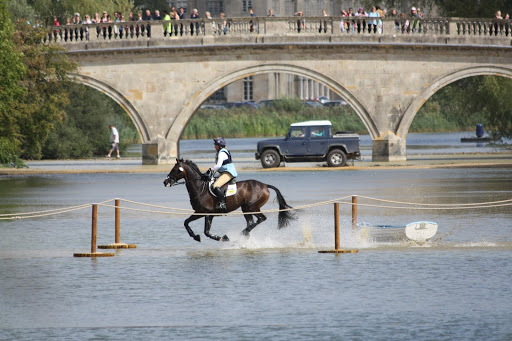 Burghley, because of its status as one of the top eventing locations, not just in Britain but worldwide, attracts the superstars of the equestrian world, from both the UK and overseas. 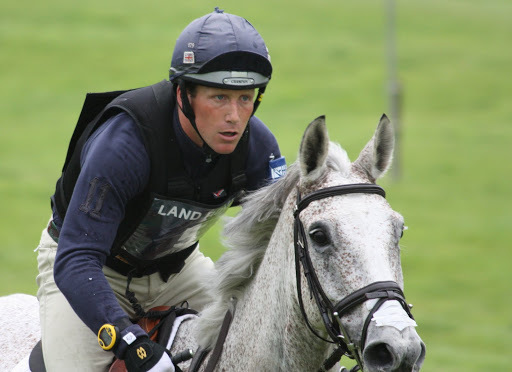 Ollie Townend won Burghley in 2009 and was a favourite to win this year. It wasn’t to be, with one of his horses being eliminated on the cross country, the other having to retire. Mary King, is always enthusiastically applauded whenever she appears and is supposed to be the person most young ‘horsey’ girls want to be when they grow up! Not surprising really, for she gets results and is a charming person as well. She came third on her own homebred Kings Temptress. The water jumps always attract the crowds and there is nothing more they like to see than a rider get a good ducking! This year their were few such moments. 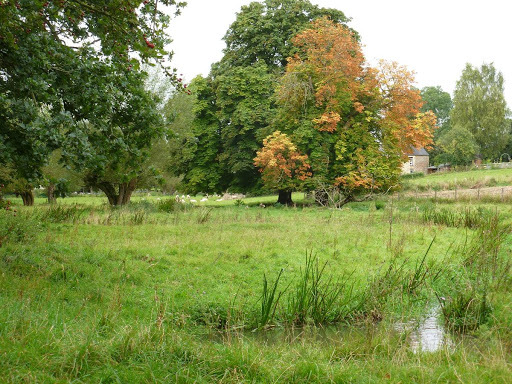 Apart from small ponds to jump in and out of, the Capability Brown lake also featured as an obstacle. There can be few more magnificent views than this with Burghley House, one of the greatest Elizabethan buildings in England, in the distance. Another photograph that appeared in the first post was the one below. This image has a horse clearing what is the biggest jump on the course. To guage the height look at the press photographers being dwarfed by it ….. This jump was another that the horses took with ease – it is more of a frightener for the rider. The press and the television crews all help to create the atmosphere at Burghley which is , to my mind anyaway, the greatest horse show of them all. Zara Phillips, daughter of the Princess Royal and grand-daughter of the Queen was another competitor here. She came in tenth place on High Kingdom. 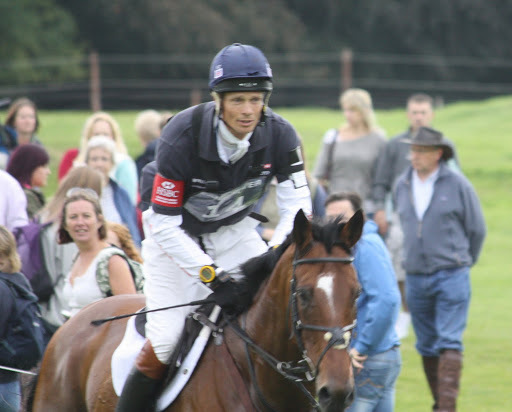 The winner – and for a record sixth time – was the popular William Fox-Pitt. Known as ‘Mr Cool’, William sits quietly on his horse, unlike some riders, and appears to have no nerves whatsoever. I wonder if that is really so! But Burghley isn’t just about horses! 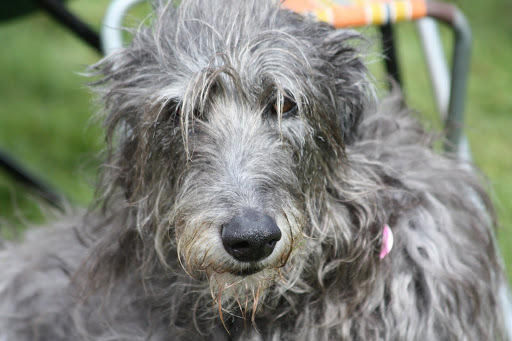 For many of us, Burghley and events like it, are places where we can meet up with old friends and aquaintances, a place to relax in late summer sunshine, a place to bring all the family including our dogs. It’s a place where we can shop, where we can picnic and where we can dream of one day riding a horse well enough to compete here. A very warm welcome to my first blog! Over the coming weeks and months I hope to share with you life in one of the most beautiful and unspoilt areas of southern Britain. You will see from my profile that I have many interests, mostly connected with gardening and the countryside and these will be included. I do hope that you will find the time to visit regularly and to offer your feedback so that I may improve the blog further. So, please, get emailing!